4K Ultra HD with HDR and Dolby Vision. Apps and catch-up TV so you don't miss a thing. 4K upscaling upgrades lower quality images to near 4K. XSound Pro delivers immersive audio. Enjoy a picture just as good as in the cinema with the Toshiba 43U6863DB 43" Smart 4K Ultra HD HDR LED TV. 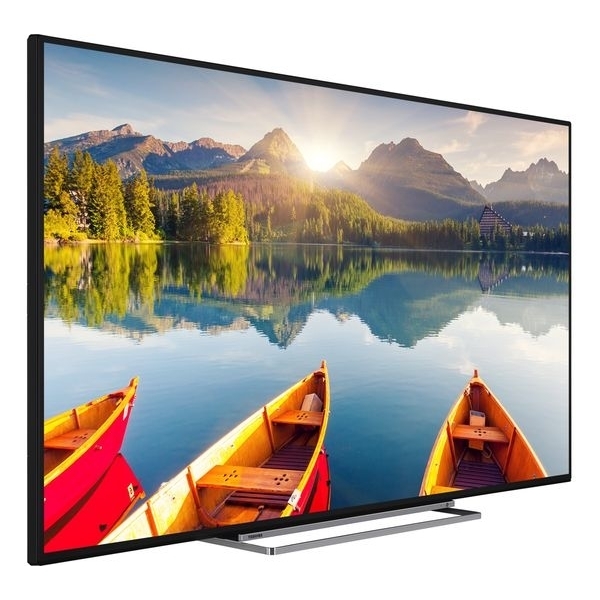 With 4K Ultra HD and HDR technology, this TV deliver images that are up to four times sharper than regular Full HD. You'll enjoy a wider colour palette too, since HDR is able to show a wider spectrum of shades. The result is flesh tones that look more realistic, and brilliant blacks that don't look washed out and grey. Dolby Vision HDR automatically calculates the correct brightness level for a brilliant picture whatever you're watching, so it's just like being at the cinema.